Austin A40 Farina Mk1 (1958- 61 Only). This is for the single Chassis mounted cylinder that operates the rear rod brakes. I can do much more on the phone. DO YOU WANT A.
Austin A95 Westminster (1956- 58). Austin A90 Westminster (1954- 56). Austin A105 Westminster (1957- 59). Here's aClutch Slave Cylinder Repair Seals Kit for the following models fromAustin -. I can do much more on the phone. AUSTIN A40 FARINA MkI & II ; YEARS 1958-1967. CLUTCH SLAVE CYLINDERthat would be suitable for the following vehicles . 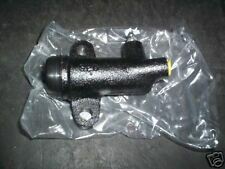 A top quality Italian made clutch slave cylinder. Austin 1100, 1300 with Engine Steady Rod, Slave cylinder, 100's sold. SLAVE CYLINDER. This push rod is suppliedNEW and for reference has the Part No.13H21. AUSTIN A40 FARINA MkI & II ; YEARS 1958-1967. (Here'a newClutch Hose for the following models fromAustin -. I can do much more on the phone. DO YOU WANT A. a week 9am-11 pm GMT). Austin A60 (1961- 71). Morris Oxford MkVI (1961- 71). Here's a newClultch Slave Cylinder following models fromBMC / Farina -. I can do much more on the phone. Here's a newClutch Slave Cylinder Repair Seals Kit for the following models fromAustin / Morris / Wolseley -. Wolseley 6 (1972 on). Wolseley 18/85 (Jan 1968- ). Austin 3 Litre (Jan 68 on). Morris 3 Litre (Jan 68 on). (1,2 & 3) (1952 - 58 Only ). AUSTIN / NASH. (x1)for the following models fromAustin / Nash. Here's a newClutch Hose Pipe. I can do much more on the phone. (AUSTIN HEALEY. Austin Healey BN4-BN8. Here's aClutch Slave Cylinder Repair Seals Kit for the following models -. (Including 3000). I can do much more on the phone. DO YOU WANT A. a week 9am-11 pm GMT). AUSTIN A30, A35 & A40 FARINA MkI ; YEARS 1952-1961. 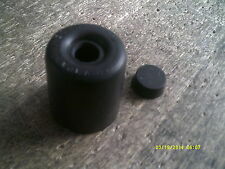 Repair that leaking clutch slave cylinder with this very good quality part. AUSTIN MORRIS MG 1100 and 1300. CLUTCH SLAVE CYLINDER SEAL REPAIR KIT. Austin A99 Westminster. Austin A110 Westminster. Here's a newCutch Slave Cylinder Repair Seals Kit for the following models fromAustin -. (1959- 61). (1961- 68). I can do much more on the phone. NEW CLUTCH SLAVE CYLINDER. 1958 TO 1968. Here's aClutch Slave Cylinder Repair Seals Kit for the following models fromAustin -. I can do much more on the phone. 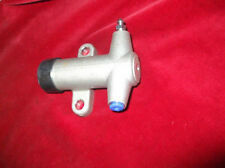 Here's a newClutch Slave Cylinder for the following models fromAustin -. I can do much more on the phone. Classic Mini - Clutch Arm Lower Clevis Pin/Pivot Pin.CLZ628. Wood & Pickett Mini Centre Ltd. Old Station Approach. Classic Mini - Clutch Arm Upper Clevis Pin.CLZ518. 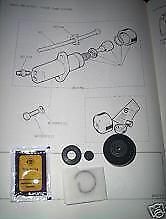 Wood & Pickett Mini Centre Ltd.
Genuine Lockheed SSB623 / LK10623 Clutch Slave Cylinder repair kit for Austin Morris Princess Wolseley Wedge vehicles. Wolseley 2200 HL & HLS 1975-1982. Austin / Morris Princess 2200 1975-1982. AUSTIN HEALEY. NEW CLUTCH SLAVE CYLINDER. 1953 TO 1967. AUSTIN ADU6371 ADU8872 GSY117. MG ADU6371 ADU8872 GSY117. SAMKO M04924. UNIPART GSY117. 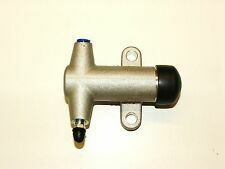 Clutch Slave Cylinder 3613 LPR. Part Number 3613. LPR, hydraulic program is sold in 76 countries, distributed from 6 countries. Classic Mini Stainless Steel Flexible Clutch Pipe for Verto Models. Wood & Pickett Mini Centre Ltd.